I guess we all know the famous open-sourced DBMS name MySQL. But since Oracle bought Sun Microsystem, the mother company of MySQL, people raises many concerns over the direction of Oracle, a commercial company. They'd already added some closed source extensions to MySQL and bug-fixes without any clear test cases. This attacks the nature of MySQL, an free open-sourced database. Because of that, Michael "Monty" Widenius, the founder of MySQL, decided to folk the source code of MySQL and started the MariaDB. Widenius built MariaDB as a "drop-in" replacement of MySQL but faster, more efficient, and stay open-sourced. So it's really easy for developers and DBA(s) to move to MariaDB. The people at MariaDB is also working on a separate branch of MariaDB with new features and design without any concerns about the compatibility with MySQL, MariaDB v10. But, if you want to stick with MySQL style, try to use MariaDB v5 instead. 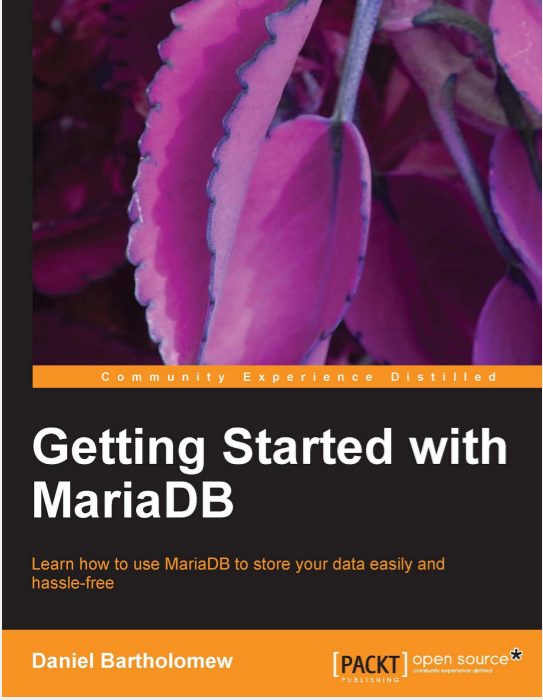 If you are a MySQL developer, a dba, or even a student, a beginner want to try this DBMS, MariaDB, you can read the "Getting started with MariaDB" book of PacktPub. With only 100 pages, the book will guide you through many steps to setup and use this DBMS. You can also find in this book a lot of tricks and tips to troubleshoot many problems you can face when operating MariaDB. Even you are a Windows, Mac, or Linux user, "Getting started with MariaDB" of PacktPub will show you how to setup, how the DBMS works, and how to fix it if it does not work as you want. To me, the book is so essential and save me a lot of time researching on the Internet to work with MariaDB.